I've been a longtime fan of your reviews. I remember reading your DarTZeel amplifier review (SoundStage!, May 2005) in which you noted it might be a bit overpriced compared to its peers. A very honest opinion and a first for me when reading a review where typically you have to dig through the innuendo to try to figure out how the reviewer really felt. 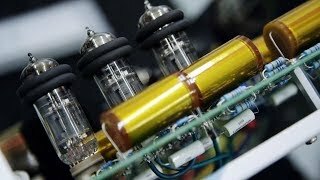 My question is regarding the Weiss DAC202. I am interested in the DAC202 not only for its D/A conversion but also the ability to use it as a preamplifier. 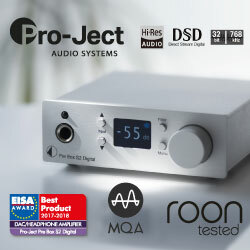 I have always been curious whether DACs with the built-in preamp capability benefited from a top-tier preamplifier, such as the Boulder preamplifier that is part of your reference system. I know the typical answer is that no preamp is the best preamp, but I rarely have seen comparisons where this was carried out with a top-of-the-line preamplifier. 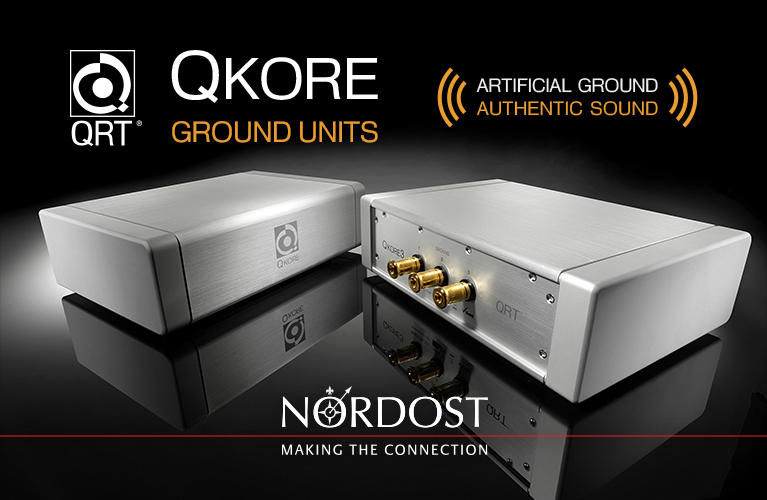 Did you get a chance to compare the DAC202 connected directly to your amplifiers versus through the preamplifier? If so, what were your impressions? Thank you. 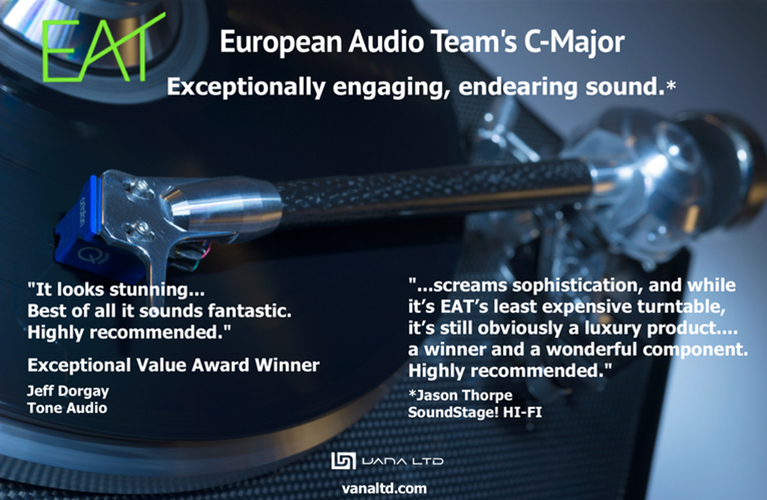 I really appreciated your descriptive review of the deHavilland KE50A mono amps. So much so that I’m considering their purchase. The system I’d like to finalize by next year centers around the Legacy Whisper XD speakers. The amps I’m considering are the Ayon Titan, EAR 890, or the DH 50As (plus Mercury 3 preamp). The one area I’m a stickler about is the noise of the tube amps. I know the Ayons are reputedly very quiet. Would you be so kind as to offer your perspective on how quiet the amp is, and with the Mercury pre as well? Looking forward to your upcoming reviews. Thank you for your comments! They're gratifying to hear. The deHavilland KE50A monoblocks are extremely quiet, particularly with the deHavilland Mercury preamp -- my own reference electronics. However, I'm not familiar with the Legacy Whisper speakers you mention, though I've heard other Legacy speakers. I'm somewhat familiar with the Ayon line of amps, as I own a "relative" of sorts made by VAIC/Mastersound in Italy. Of course, Ayon has its own designs and has created some fine amps, exceptionally engineered. But I'm not familiar with one called the Titan. There is an Ayon KT88 amp called the Triton. I've also reviewed the EAR 890 stereo amp and think highly of it. It might boil down to a question of power and matching with your speakers. The KE50As are about 40W of output, the EAR 890 70W, and the Ayon Triton 125W. The KE50As drive my Von Schweikert Audio VR5 HSE speakers (91dB/6 ohm) very well in a smallish 12' x 15' x 8.5' room. If your room isn't too large, I should think this would be an excellent match. Why not contact Kara Chaffee, owner and chief engineer of deHavilland? She's extremely affable, wants her clients to be completely happy, and can perhaps advise you in even better detail than I.
I read your JL Audio Gotham review and you were using TrueRTA software with the Behringer ECM8000 microphone for frequency-response data collection. I have purchased the ECM8000 and it requires a phantom power supply. Do you use a preamp or the Behringer PS400 to provide phantom power to the ECM8000? As of now, I am using the RadioShack SPL meter with TrueRTA and I would like to set up the ECM8000 to get better results. 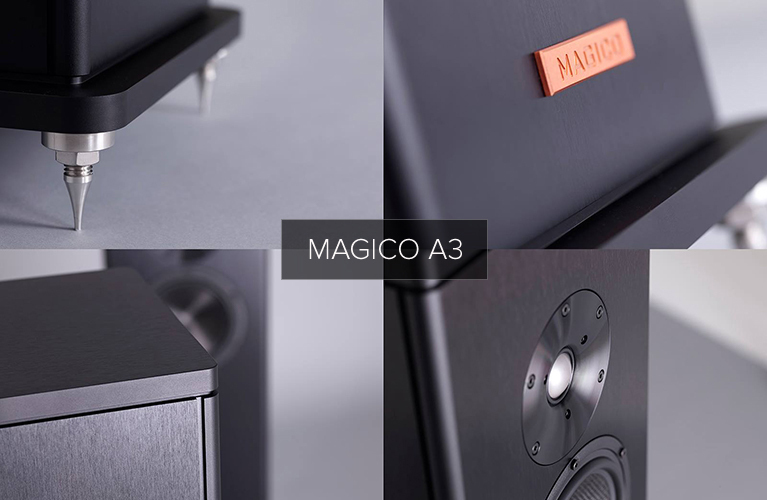 Thank you for your excellent article on integrating Paradigm S2 v.3 speakers with Paradigm's top-of-the-line subwoofer. This was of particular interest to me as I am about to purchase two S2s, which I intend to integrate with my JL Audio Fathom f113 subwoofer. I would suggest that you arrange to get a loaner Statement D2V from Anthem and run ARC on your setup. I am an electrical engineer, and before I tried ARC, I would make the same kinds of statements as you regarding speaker optimization using a room-correction program versus manual adjustment. What I found when I ran ARC was that while I was able to remove low-frequency room resonances as well as the ARC system, I could not produce anywhere near the precision and clarity in the frequency range existing for several octaves around the cutoff between my speakers and the Fathom. This difference was not insignificant, but rather took my existing system to a new level of performance. As an aside, I consider the Anthem D1 and its successor D2V the finest, most adaptable, and usable pieces of audio equipment that I have ever owned. I am glad to see that someone else is extolling the virtues of audio-only linear PCM recordings made at 24-bit/96kHz and 192kHz. I have also purchased all of the Blu-ray 2L audio recordings and found that they are the highest-quality recordings that I have heard on any medium, be it CD, SACD, or vinyl. Nice article you had -- very interesting ("JL Audio Gotham g213: Integrating Super Subwoofers into an Ultra System"). I am in the process of integrating subs and I would appreciate some of your insight. My mains are Klipsch LaScalas. My subs to be are RCF L18S801s. I will have two separate subs, and I have two different locations that are possible: either together mono between the mains, or stereo overlapping and with the mains. Your article on how you filled in that 100Hz dip was interesting. I have a dbx DriveRack, so I can choose any slope up to 24dB/octave and any frequency, as well as time align. I am in the midst of getting REW (Room EQ Wizard from HomeTheaterShack.com) as well, and this will be the tool to make it happen. Once REW is up and running, I think I should be OK. Any advice you have would be appreciated. By the way, I liked that trick of reversing polarity at 50Hz until the dip is most severe. I came across your excellent room exploits ("Part One", "Part Two", and "Part Three") from a link of a link, which was started by some research on the Anthem processor you reviewed (I'm collecting my new D2v today!). I am very intrigued by the treatments you have installed and would love to see some more pictures of your room. Is there a link you can point me to where more pictures are available? I am particularly interested in your Masonite cylindrical diffusers. Are they a hollow cavity behind the Masonite? Are they capped at the ends? As for speaker positioning, do you find that ideal positioning needs to change from speaker to speaker? I assume your personal speakers are the Alexandrias? 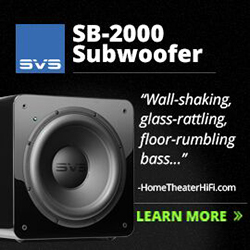 How do they differ to other smaller speakers with regard to positioning? My guess would be not much, as the ideal placement in the room will always be the ideal placement! I also see that your speakers are quite close to the wall behind them. Do you subscribe to ratios, i.e., rule of 3rds or 5ths? My name is Phil and I'm in Melbourne, Australia, and I'm pretty addicted to this hobby. I have a dedicated music room that has many acoustical issues. I am currently using RealTraps to help its performance. There does not seem to be many acoustic experts down here, but then maybe I have not looked in the right places. I'd appreciate any info you care to share. The diffusers are braced in three places behind the Masonite. This keeps them fairly stiff. If you don’t have an acoustic engineer handy, your best bet is to contact Terry Montlick Labs and have them do an e-mail consultation. 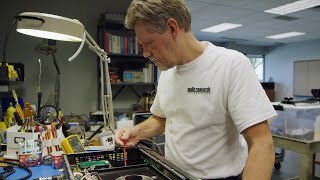 It will be the best money you ever spent on your audio system and Terry can design your room treatments from common materials available at your local home store, making the service extremely good value. As for speaker placement, there is a general set of dimensions within the room where most speakers sound best. Within that area, though, there are placement differences from speaker to speaker. 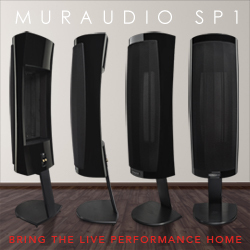 Speakers vary with regard to radiation patterns, port placements, not to mention numerous design idiosyncrasies, so that placement for each set takes experimentation and experience. Rather than rely on rules, I've found the best method is to actually take acoustical measurements in my room. 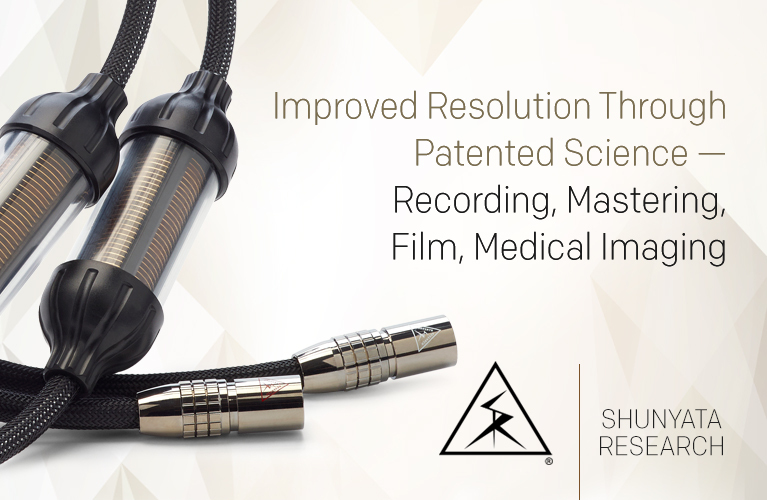 This is a far more effective method for fine-tuning placement and results in the best speaker placement each time out. As for more photos, check out the TWBAS 2009 articles here: http://ultraaudio.com/twbas.html. Good morning Mr. Fritz. I am an avid reader of Ultra Audio. May I ask you a question? I am about to buy a new set of speakers. My first choice is the Rockport Technologies Altair. Do you think I can proceed with my current amp, a Vitus Audio SS-101? 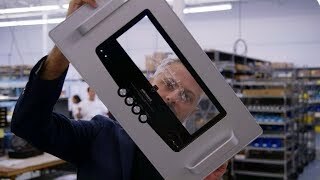 Is the Vitus able to drive the Altair with 50Wpc? Would I have a greater chance of success with other amps? Thank you in advance for your answer. I own a Leben RS28CX preamplifier and have been thinking of auditioning an EAR 868 preamp for a listening test soon. I read your SoundStage! review of the EAR 868 and liked it a lot. Anyway, the thing is, I also have been thinking about buying the deHavilland KE50A amplifier, but it is impossible to listen to before buying in my area (Finland). But EAR products are easily available here, so: Have you yet listened to the EAR 890? If so, do you have any musings about how it compares to the deHavilland KE50A? I've heard very good things about the Leben line of electronics, but I've had no experience with them myself. 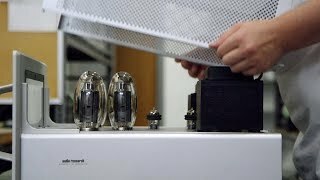 Since you are seriously considering purchasing the EAR 868 preamp, you might be interested in my recent review of the EAR 890 amplifier in which I compare it to the deHavilland KE50A monoblock amps. Both are great products and operate in class A. The EAR 890 has more power and a glorious midrange sophistication. The KE50As have a top-to-bottom balance and sparkle and resolution at the top. Both are extremely well-built. The EAR 868 preamp worked very well with both amps, but I found it to be better with the EAR 890 stereo amp. I enjoyed your review of the Herron VTPH-2: informative, easy to read and entertaining. After auditioning and recently purchasing the Herron VTSP-3A linestage, I have ordered the VTPH-2 phono stage. My question: You mention the Nottingham Spacedeck, the same turntable I use (with a Shelter 501 Mk II). You have the Heavy Kit. Do you also use the Wave Mechanic power supply? I spoke with the TT guru at the Analog Room, they are the new importer for Nottingham, and he suggested the Heavy Kit is the first upgrade he would recommend. I am a little concerned about the extra weight affecting the TT speed. He said not to worry, but I would like to get some perspective from others. Do you like what the Heavy Kit does for the Nottingham? Congratulations on purchasing the Herron VTPH-2. It's a fine phono stage and one I've come to trust and depend on as I listen to others in comparison. I was just talking with Keith Herron yesterday, as a matter of fact, about some different tubes he's discovered that can work well in the phono for some systems. Regarding the Nottingham and Heavy Kit, I heartily agree with the Analog Room (San Jose? or Upstate NY?). If it's Brian Hartsell, he certainly knows his stuff. In fact, that's where my Nottingham came from! The Heavy Kit does not affect the motor or TT speed whatsoever. The added platter weight gives the sound of the TT more weight and authority, especially with rock and orchestral music. The fullness of the "support" from the bass viols in symphonic pieces really comes forward, which is not to say that it dominates, but provides the fine fundament on which the rest of the music relies. You really hear and feel it once it's there. With rock, well, all I can say is "Would you rather hear Cream with Jack Bruce or without him?" You might consider the Benz Micro line of cartridges, if you don't have a settled idea for one. I liked my Shelter 501 Mk II tremendously, but a close friend who also has a Nottingham likes the Micro line from Benz. My last cartridge for the Nottingham was the Zyx Airy 3, which I still have and adore. One other thing -- I found that the Nottingham especially benefitted from good isolation and a rigid foundation. I used a Finite Elemente Signature Pagode rack with it at first, the one with single struts on either side, and the rack was top-heavy and wobbled. When I reviewed the HRS SXR rack and S1 shelves, the finesse and refinement of the 'table took a huge jump -- so much so that it closed the gap between the Nottingham and superb Artemis SA-1 'table and Schroeder DPS arm which I'd recently reviewed.